Company registration in Poland requires long preparation and detailed knowledge of the local legislation. Company Law & Trust International offers assistance in establishment of new businesses, and the responsibilities of lawyers include advising clients, collection and verification of documentation package, legal support of document consideration procedure, opening account in foreign bank to contribute the authorized capital and other services. Offshore companies in Poland do not pay income tax, and the state signed agreements on prevention of double taxation with a lot of countries. Company name. The name should be unique; consonance with the names of other companies, as well as use of a number of words in the name of the enterprise are not allowed. Detailed list of the abovementioned words can be clarified by consulting the legal expert of our company. Scope of activity of the company. Offshore company in Poland has virtually no restrictions on the sphere of activity, however, registration in certain economic and financial sectors is impossible due to necessity of additional licensing. Organizational and legal form of the company. In Poland, it is possible to establish branch of the foreign company, representative office of the business or limited liability company. Our experts recommend to choose LLC as this form has the least restrictions concerning further cooperation with partners, banks and target audience. The client leaves application regarding registration of the company in Poland by phone or in chat, followed by getting in contact with him by our lawyer. The outcome of conversation is signing of agreement on cooperation in our office or remotely by means of electronic signature. The client with the help of expert selects 10 types of activities from special table for subsequent entering data into the register. Encoding the sectors of operation is different for each state, and as a consequence, it is not recommended to copy the information. The client shall provide copies of primary documentation and data on the basis of which further collection of documents for establishment of the company in Poland will take place. If it is necessary to establish LLC, the number of founders is not limited by the country's legislation. The term of collection of the full package of statutory documents is up to 19 working days. The exact duration of the period depends on number of founders, necessity to adjust obtained official papers and other factors. The prepared package shall be approved by the client, and certification of copies or signing of documents by the applicant is conducted, if necessary. Registration of the company in Poland does not imply personal presence of the client, so it is possible go through the procedure in electronic format or issuing power of attorney for our company’s specialist. If you wish to visit the country personally, it is necessary to obtain one of the following types of visa, namely visitor, tourist or other type. Processing of visas is also carried out by Law & Trust experts. Upon arriving abroad our specialist continues business registration in Poland. Putting company on register in all public authorities, selecting types of activities according to Classifier of economic activities, registration of REGON, NIP, VAT and other individual numbers for legal entity are carried out. Issue of documents concerning successful establishment is carried out in the company's office. The owner of the company can apply for residence permit or business visa on the basis of foundation documents to the local Federal Migration Service, but it is faster and more cost-effective to resolve the issue of granting residence permit using our assistance. When registering company in Poland the list of documentation is made during personal conversation with expert in this field of jurisprudence. We need to specify the list in the visa application center, because it differs in each individual case, and in accordance with changes in legislative norms. 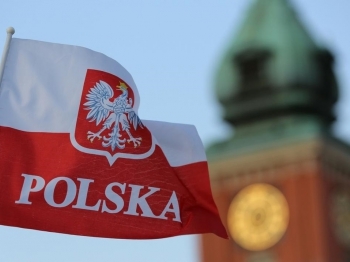 The cost of registration of the company in Poland will be calculated after compiling the list of documents, but before signing of the agreement on provision of legal services. Ethnic groups 96,7 % - поляки; 0,4 % - немцы; 0,1 % - белорусы; 0,1 % - украинцы; 2,7 % - др. Corporate tax rates details Reduced rate of 15% may be available to small taxpayers and companies commencing business activity (including branches). In Poland, the Fee for the Trademark Registration Request and the Trademark Registration Certificate steps, allows to include up to 3 classes on the application. After the third class, the extra class Fee will apply. Registration of company in Poland Sp. z o.o.